In response to the recent article, “Why have the Presidents of the Church consistently taught against Darwinism?” a reader suggested that a supposed 1910 First Presidency Message overrules other statements from Presidents of the Church. Many LDS promoters of evolution inaccurately claim this statement was given by the First Presidency. However, a simple overview of the evidence reveals this rumor to be inaccurate. In 1910, the following statement appeared in the “Priesthood Quorums’ Table” with no attribution and it has never been known who the author was. 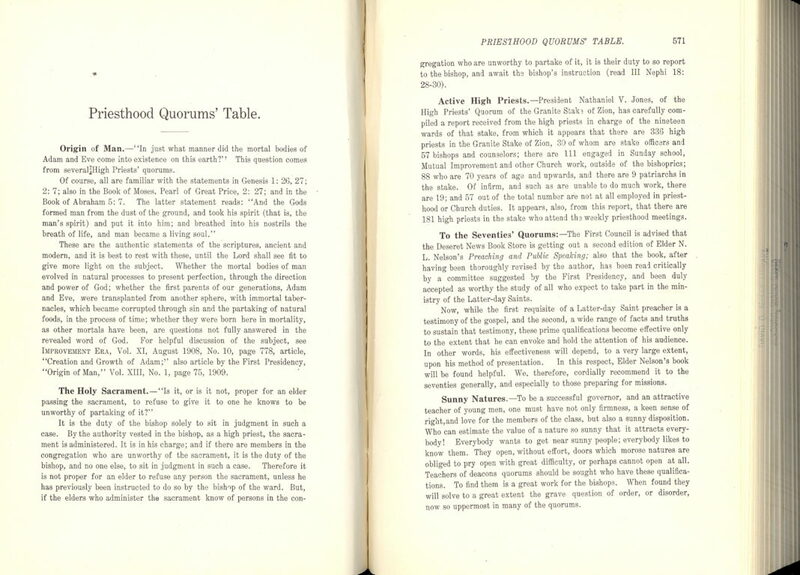 The Priesthood Quorums’ Table was the method by which the General Priesthood Committee communicated with the local quorums. One thing we know for certain is that the article was not written by Joseph F. Smith or the First Presidency as claimed by Evenson and Jeffery.1 The first evidence is that, as I mentioned above, there was no signature on the article. Realize that the Improvement Era contained numerous anonymous comments and articles on various religious and secular topics. 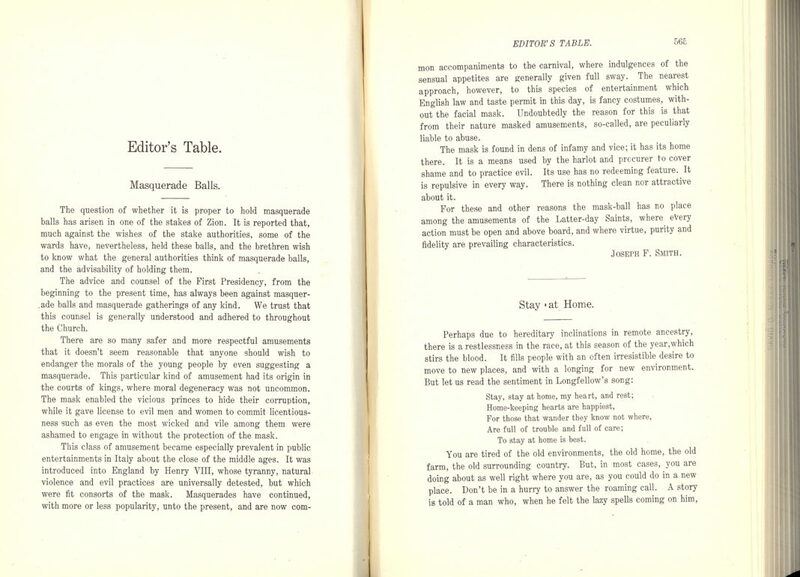 The articles that were written by the First Presidency, by President Joseph F. Smith or by other leaders such as “The Origin of Man” published in 1909 and “The Father and The Son: A Doctrinal Exposition by The First Presidency and The Twelve” published in 1916 are clearly distinguishable as to who the author or authors are. Some believe that the article cited above was written by someone on the General Priesthood Committee, but we will probably never know in this life as articles were published by many who were not members of the General Committee. It could have been written by any member of the Church. The articles that President Smith or others wrote always bore their names, where this 1910 message was unidentified. This doctrine that Adam was the literal son of God through his physical body was consistently taught by Joseph F. Smith and other of the Presidents of the Church, and it is spelled out in the standard works of the Church. In fact, Joseph Fielding Smith unmistakably taught that it was a fundamental doctrine of our Church. Note that this “fundamental doctrine of the Church of Jesus Christ of Latter-day Saints” is in direct conflict with believing that man came from lower forms of life. This statement is in harmony with the numerous other writings of President Joseph F. Smith, but was probably no more written by him than the other statement made in 1910. 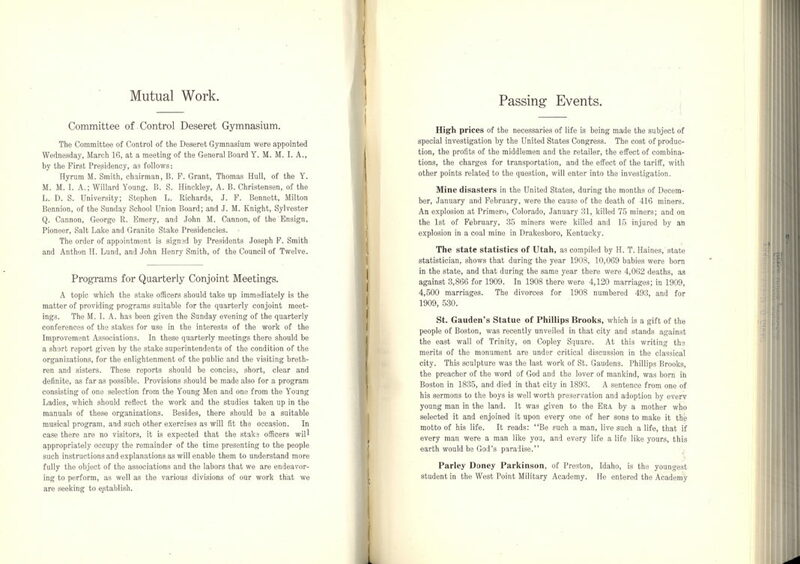 Please see a copy of the reported First Presidency Message from the 1910 Improvement Era and recognize that, as mentioned above, it is not signed by the First Presidency. It is also not signed by President Joseph F. Smith. Also, please see a copy of a message from Joseph F. Smith from the Improvement Era that is signed, enabling anyone to contrast the two. Finally, see an additional link to a copy of an article signed by the First Presidency. This should clarify any misunderstanding regarding the supposed First Presidency Message of 1910. Joseph Fielding Smith, Doctrines of Salvation, volume 1, p. 102. To believe or think that God created us through the process of evolution is demeaning and completely contrary to the scriptures. Some scholars of the biology community seem to be held captive to the idea of evolution, while attempting to mingle it with creation. But the philosophies of man, mingled with scripture are falsehoods all the same! I’ve come across a thought I had about the big bang theory and evolution. I was thinking that if teachers speak of evolution as the theory of man would it not be possible according to their philosophy for that same theory to have existed on another earth wich may have been thousands or millions of years ahead of us and that a race on that earth could have become advanced enough to plant man here on this earth. And that that earth the Being came from may have been a different atmosphere and possibly speed up the process of evolution their, and that man may have not originated as a chimpanze on this earth. Would this not call into question and dismiss evolution from chimpanzee being spoken of and taught as fact according to their theory. Just a thought I like to use to refute their own teachings of evolution. Hope this comment wasn’t to off topic.